Since it was originally published more than 63,000 people (to date) have leveraged the MySQL for Galera Cluster Tutorial to both learn about and get started using MySQL Galera Cluster. 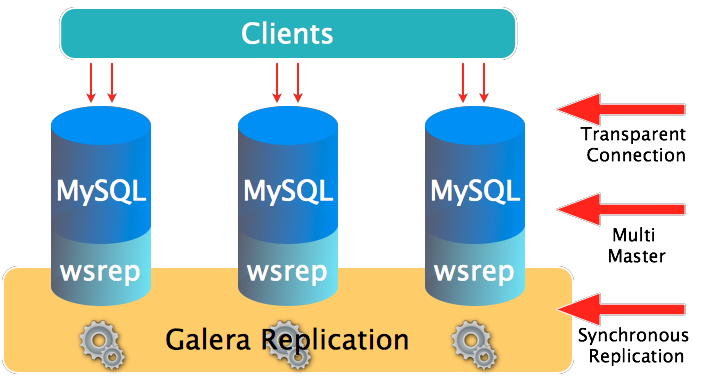 Galera Cluster for MySQL is a true Multi-master Cluster which is based on synchronous replication. Galera Cluster is an easy-to-use, high-availability solution, which provides high system uptime, no data loss and scalability to allow for future growth. Severalnines was a very early adopter of the Galera Cluster technology; which was created by Codership and has since expanded to include versions from Percona and MariaDB. Check out the updated tutorial MySQL for Galera Cluster here. ClusterControl makes it easy for those new to Galera to use the technology and deploy their first clusters. It centralizes the database management into a single interface. ClusterControl automation ensures DBAs and SysAdmins make critical changes to the cluster efficiently with minimal risks. Learn more about how ClusterControl can help you drive high availability with Galera Cluster here.